That’s right everyone, we’re finally having our first BIKE IN MOVIE! If you haven’t seen flyers around here is all the info. 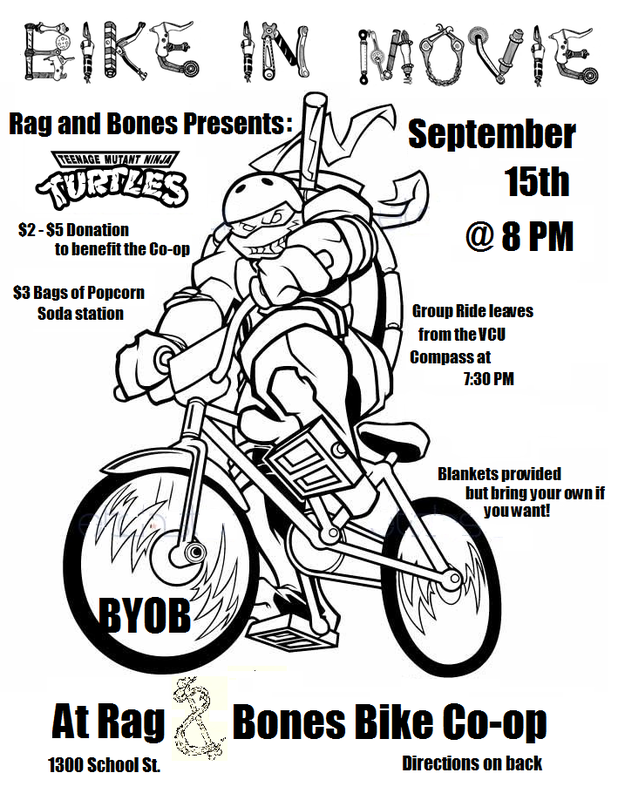 We’ll be meeting at the compass for a group ride to the shop at 7:30 and the movie starts at 8. We’ll have popcorn and sodas available, and bring something to sit on if you can. As always, email us with questions at RagandBonesRVA@gmail.com! Next Post Rag and Bones at the Zinefest!